Floyd Mayweather defamation lawsuit: Josie Harris, ex-girlfriend, sues over domestic violence comment. 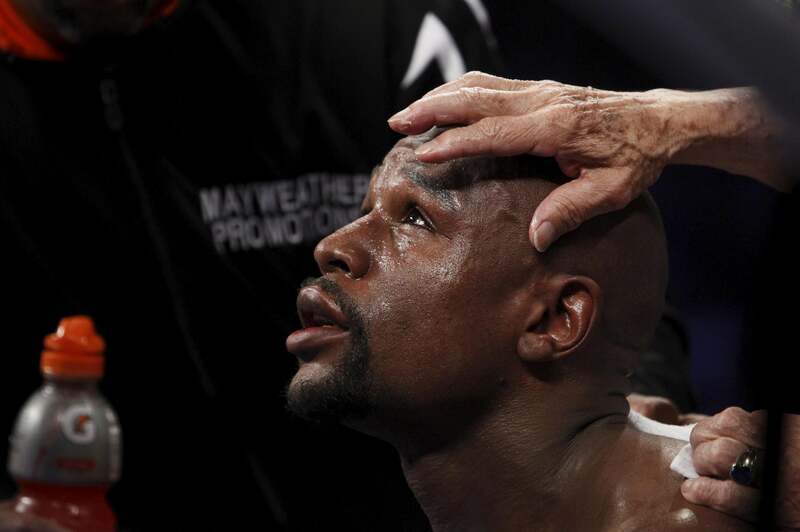 Floyd Mayweather during his May 2 fight against Manny Pacquiao. Harris now lives in Valencia, California and filed suit in Los Angeles County on Tuesday, claiming defamation, intentional infliction of emotional distress and negligent infliction of emotional distress. Harris’ suit seeks damages in excess of $20 million. You can read her complaint in its entirety at Deadspin.